Life has been hectic since fall began and school has started. There are many nights when I just do not have the time or the energy to write a blog post. I think many of us “postaday” bloggers are finding it difficult to meet the goal. Therefore, it is heartwarming to me to find that even when I am not on target, I still have people who will read my musings and even take the time to nominate me for an award. 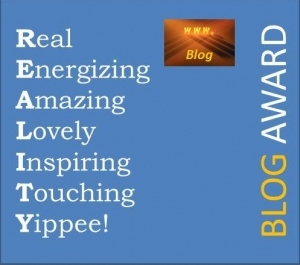 Cher over at Authentic Photography has graciously nominated Grandmother Musings for the REALITY BLOG AWARD and the LOVELY BLOG AWARD. Cher is originally from Maine, but has recently moved to Lakeland, Florida with her husband. Her photos are real and reflect her keen insight into everyday life. Please go and visit Authentic Photography. You will enjoy her unique photo expressions. 1) If you could change something, what would you change? I would change all the hatred in the world for other cultures and races. I would repeat at 30. I would tell my scared self that I am powerful and worthy of great things. One dream I have always had is to own a house on a lake. I think it will eventually happen. I think it would be interesting to be the President or someone else in a high seat of power. I have a feeling it is a lot more difficult to be in that position than I imagine. I am nominating 10 wonderful blogs that have inspired me in some way. Please take the time to visit these sites and see what makes them so great. There are no specific rules to these awards. Each nominee is free to accept and do what he or she will with his or her award. It is my sincere hope that with this nomination each blog will know how much I appreciate and respect their work. 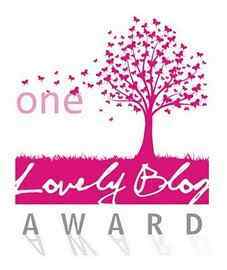 This nomination is for both the Reality Award and the One Lovely Blog award. Posted in Awards and tagged awards, blogging, Grandmother Musings, gratitude, Nominations, Nominees, One Lovely Blog Award, postaday, Reality Award, thankfulness. Bookmark the permalink. I am so honored. Thank you so much. Thank you so much. I am honored!!! Congratulations on your awards, they are always welcome and thank you for nominating me also.